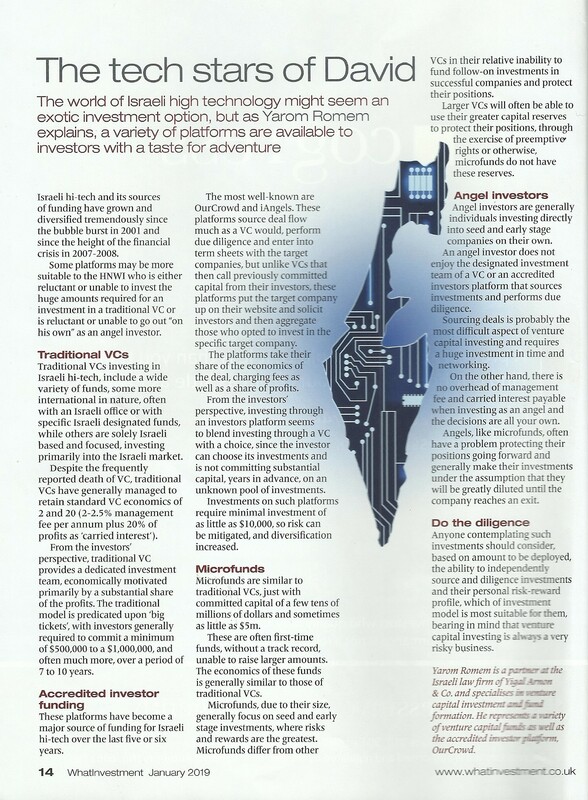 The world of Israeli high technology might seem an exotic investment option, but as Yarom Romem explains, a variety of platforms are available to investors with a taste for adventures. The article was published in the GBFR magazine, on August 2018. Article regarding how automotive and energy developments are joining technology as drivers of the Israeli economy, quoting Eli Greenbaum and Ezra Gross. A recent report proposes a balanced approach to ICOs that could add new vigour to the country’s vibrant blockchain sector.